New Artist Walden Wong Added and special Michael Turner Art Sale! I'm very excited to have Walden Wong on board with TDArt! Walden is currently accepting commissions. 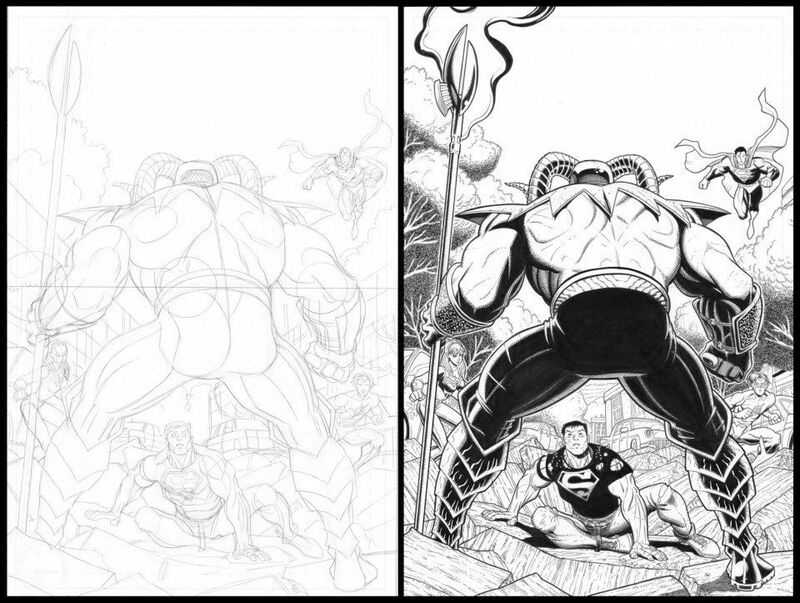 He is accepting pencil and ink commissions, ink commissions, finishes and inks commissions, and he can also do watercolors on any of the previous types of commissions (the piece featured in the header today is a work in progress of his finishes and inks over Art Adams). I've been given special permission by my client to offer the Michael Turner Superman Batman 10 pg 5 splash page at a discounted price of $7500! That's $1000 off asking! Please mention the sale when inquiring about the art.